Five Years of the MN T-Girls! Five years ago the MN T-Girls had our very first outing. It was held at a coffee shop in south Minneapolis that sadly is no longer in business. I remember waiting, a little nervously, to see if anyone would show up. But they did. I think there were a total of four others who made it that day. I was surprised that this little event was successful and a little proud of myself that the first event had happened. My confidence was bolstered by the first outing and by the number of t-girls who were emailing and wanting to join. I had planned a shopping trip at the Mall of America…which no one had committed to going. The event didn’t happen. My enthusiasm and confidence plummeted and I wondered if this group was going to make it. I planned a third outing at the same coffee shop and it was attended by about a half dozen of us. My confidence was restored and each month since then the group has met and had a lot of pretty amazing experiences. Running the MN T-Girls has been frustrating, amazing, rewarding and stressful…often all in the same day. I really never know how an event will go until it starts. I can plan an event with fifteen girls committing to attend…but only three show up. That’s not too surprising when the group members are all at varying stages in their lives. Some girls have been going out in public for years, others make their first visit into the real world at the event itself. I have been filled with pride as I watched some of the members make their first high-heeled step into a museum on their first venture into the outside world. I have met girls in parking lots so they wouldn’t walk into a restaurant for their first time alone. 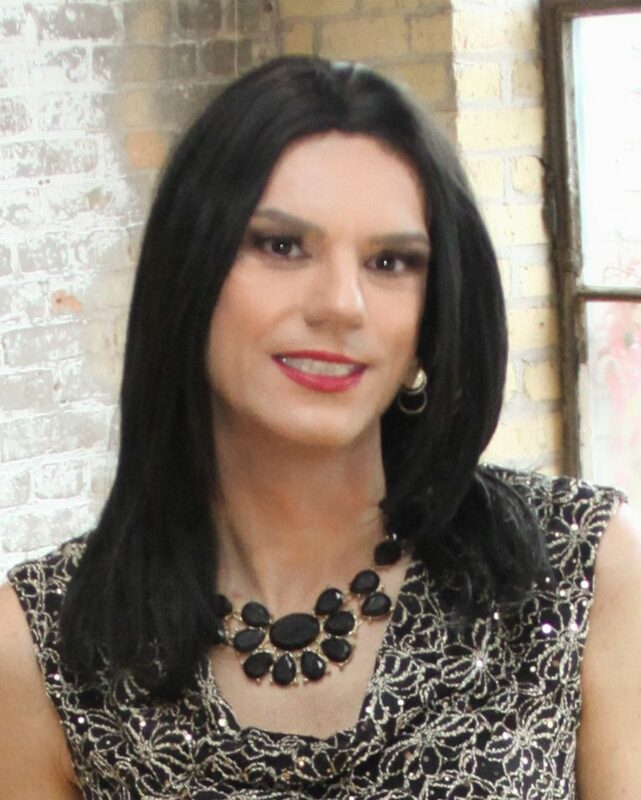 I have seen members blossom from attending outings in male mode to fully transitioning. I have seen faces light up as a t-girl looks at themselves in a mirror after their very first makeover at a makeup demonstration event. When a t-girl joins, I often ask them what they want to do. Some girls tell me they dream of going to a play, or going shopping or learning makeup. So, I plan events where we go to a theater, hit the mall or attend a makeup demonstration. It’s easy to get frustrated when it takes two months to plan and coordinate an event and have only four girls show up. When an event doesn’t go as planned and fewer girls show up than I had planned, I often think about why it wasn’t a successful event. What was it about the event that wasn’t attractive to the members? I do my best to plan events throughout the year that appeal to those who have been in public for years as well as events intended for girls who aren’t quite ready to be that visible. I try to learn from the events so I can plan future events that the members want. Is it makeup lessons? Private shopping events? Dinner at nice restaurants? After five years and literally hundreds of members later, I think I figured it out. We want to be understood without explaining ourselves. For those of us who have come out to others, we know it can take a long time to find the right words to answer questions that others have. Why do we do this? Why do we want to wear a dress? Why can’t we change? It can take years for someone else to somewhat understand why we are who we are. I am not sure someone can fully understand why we are who we are as I am not sure we do ourselves. But we are not a math problem that needs to be solved. We are poetry that simply is. I believe t-girls want to talk to others without having to explain why and who we are. We understand each other. We all have had many of the same experiences and feelings and thoughts. The same conversations with our loved ones. We know why another t-girl is who they are because we know why we are who we are. T-girls fall into easy friendships and conversations because we don’t need to have the conversation about identity with each other. We know how complex and how simple gender identity can be. We know how it is fluid and beautiful and personal. This side of us is yearning to have experiences in the world. We want to experience things as this side of us. Those experiences can range from flying pretty to having a cup of coffee with a new friend. Yes, there will always be events where we learn how to contour, events where we go shopping and events where we go out to dinner. The events over the past five years have ranged from wildly successful to complete disasters. That will not change over the next five years. But the measure of success needs to be gauged by building the community. It makes me happy when friendships are formed because of the group and members are meeting up with each other outside of the monthly events. It’s heartwarming to see girls build their confidence and find the courage to come out to others in their life. I am inspired by the members and I am often bursting with pride. I am often asked about the future of the group. Some days I want to walk away from it but ten minutes later I am thinking about future outings. It’s my dream to see the group someday being able to exist without me. If I decide to retire as the head of the MN T-Girls I hope there would be someone to take the leadership role and keep the group going. I would love to see the group become more involved in activism and social issues. I would love to see the group grow. This weekend we will celebrate our anniversary and all that we have done as a group and as individuals. The event planned for tomorrow will be a typical event for me in terms of swinging from frustration to elation, but I’m used to that by now. I want to thank every member of the MN T-Girls. Whether you joined and have yet to attend an outing or are there for every event. You are why I do what I do. The group exists for you and I will continue to plan events as long as t-girls want to come to them. I want to thank all our honoring members as well, such as Corrie Dubay and Shannonlee. Two amazing women who do so much for our group and community. Congratulations on reaching that anniversary. I think keeping a social group running takes dedication – and probably a bit more than non-transferable ones, once you include the Coming Out factors. Good luck to you and the group. So nice to see an active TG group. Thanks for posting Hannah.